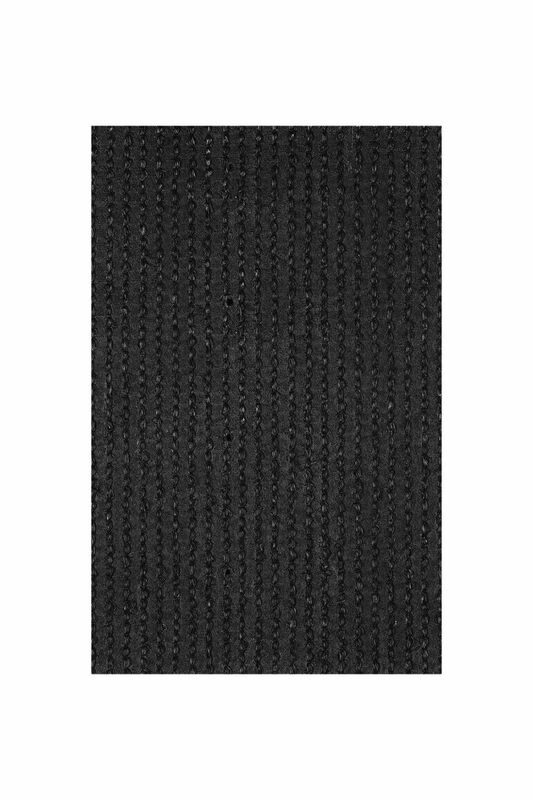 Artificial grass rolls are heavy and bulky and cannot be shipped on a pallet. Generally, for rolls over 10m2, we have to use a specialist courier to ship our products. We offer a 5-7 working day standard delivery service to mainland UK. If you require your items urgently, it is possible for a quicker turnaround, however, additional fees may apply. Please contact us or call 01245 931200 for further information. Delivery is free for orders over 40m2. Delivery for orders under 40m2 are £60 including VAT. 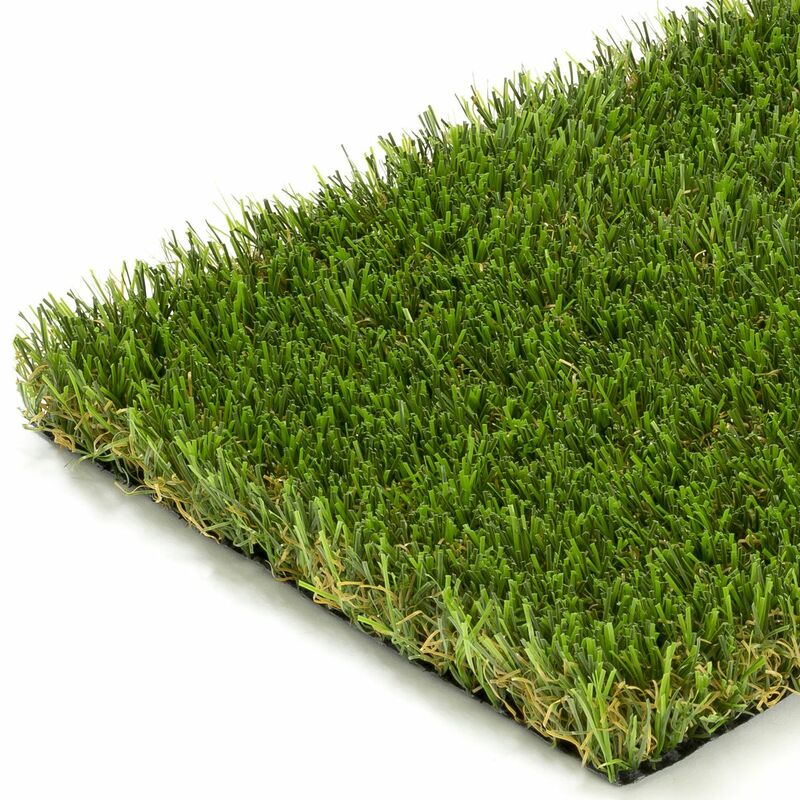 Our artificial grass is supplied in either 2m or 4m widths. We can cut any length you require to the nearest 0.1m, up to a total of 25m. It’s important to measure your lawn correctly to ensure you order the correct quantity of artificial grass. To find out how, please see our handy guide ‘How to Measure Your Lawn for Artificial Grass‘. For further help, please contact us or call 01245 931200. The quality of the artificial turf is second to none. We were very impressed by the NeoGrass samples, especially as they were large enough for us to see how they would look. We decided upon the Inverness as we have dogs and I am really glad that we did as it has completely transformed our garden. No more mud or mess! Thanks for an impeccable service. Extremely pleased with the level of service from the initial contact and prompt delivery of NeoGrass info and samples, to all follow-up and questions answered. We’ve been blown away with the superb quality of the NeoGrass product – the end result is stunning! A huge thanks also to our NeoGrass Approved Installer who was a star from start to finish. Thank you one and all! A disaster of a lawn, destroyed by digging dogs, has turned into a dream to look at. Every time I glance out it seems to smile back. And clean dogs now too! I am so glad I choose NeoGrass for my artificial lawn as the Aberdeen looks absolutely stunning. Thanks to the team for a great job, despite the atrocious weather. If you’re looking for a soft yet strong artificial turf that stands up to the rigours of family life and still looks amazing, Aberdeen is the perfect choice for you! It’s our premium product and our most popular brand of imitation grass. 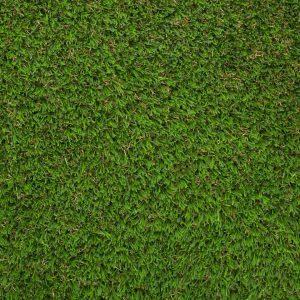 Its stunning realism gives this beautiful artificial grass a lush green appearance that will bring any garden or outdoor space to life. Packed full of the latest technology including our unique Instant Recovery® technology that ensures the 35mm fibres ‘instantly recover’ from foot traffic, our Feelgood® technology that controls the temperature during hot summer days and our Natural Look® technology that ensures a realistic look from every angle. 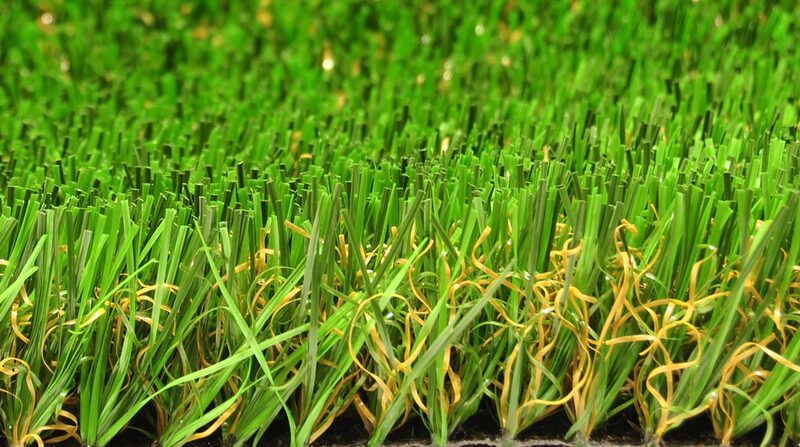 Aberdeen by NeoGrass is manufactured using a blend of Polyethylene and Nylon (Polyamide) artificial fibres – the strongest form of plastic used to produce fake grass. Nylon is excellent in durability, abrasion resistance and resilience, that’s why it’s used to make parachute chord, fishing lines, tennis racket strings and the best quality carpets and rugs. The excellent strength and resilience of nylon enables the Aberdeen fake grass to ‘Instantly Recover’ from foot traffic and garden furniture. Our unique Instant Recovery® technology ensures your artificial lawn looks better, for longer, even with heavy use. The Aberdeen artificial grass has been created using our unique Natural Look® technology that reduces unsightly glare and reflections, resulting in a natural looking artificial lawn from every angle, in every environment. Aberdeen artificial grass also incorporates FeelGood® technology that keeps the grass up to 12 degrees cooler than other artificial turf currently on the market. So even on a warm sunny day your lawn will feel fresh and cool. Just like real grass. Lime green, dark green and olive green with just a touch of oak brown. This is the spectacular cocktail of colours we use to create the Aberdeen. A mixture of shades that enhances any setting for a vibrant, cheerful appearance. The 35mm pile looks natural and offers very good visual depth. Its height and colour will be the envy of all. 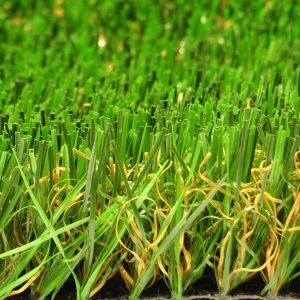 Our unique mix of Nylon & Polyethylene fibres allows us to offer the strongest, most resilient artificial grass available in the UK. When searching for the best quality artificial grass, it's vitally important to look at more than just aesthetic appeal and pile height.Fibre structure and thickness play a key role in performance and longevity. A good way to check the quality of artificial grass is to look at the backing, as that's where everything is held together. A common problem with lower quality artificial grass is that the primary and secondary backings break apart due to the low quantities of latex used. Aberdeen artificial grass is weaved on a reinforced Polypropylene 163gr/m2 backing to form the primary layer and our manufacturing process ends by adding 968 gr/m2 of heavy duty latex which gives an anchoring resistance greater than 30N to each fibre. The high percentage of latex present in the backing of the Aberdeen fake grass results in a high strength artificial grass that also has the flexibility to prevent cracking or breaking. Aberdeen has been independently tested and certified against harmful substances by Oeko-Tex, the leading authority for independent safety testing in the textile industry. 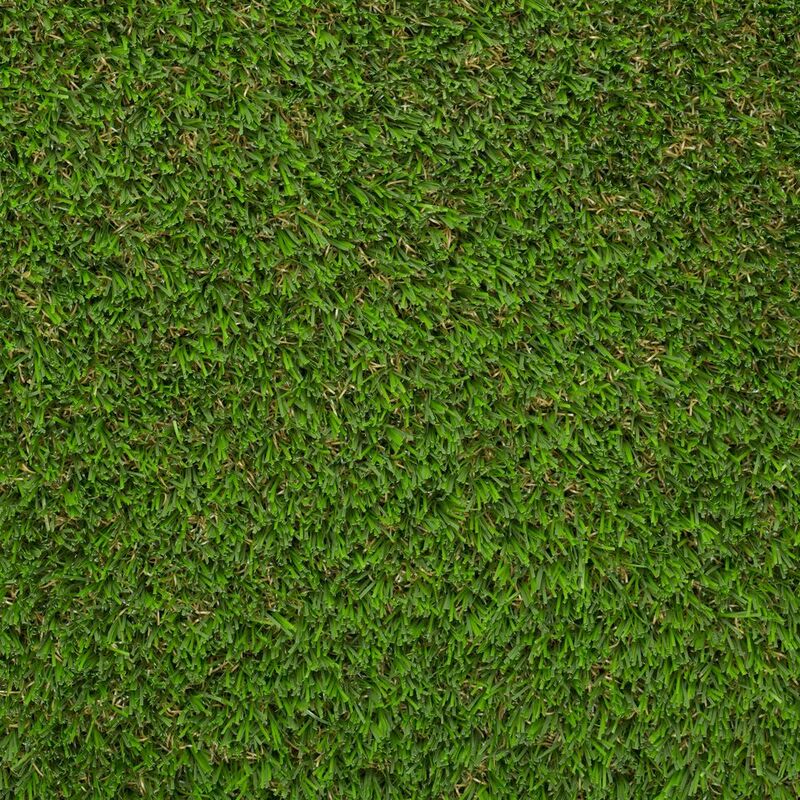 Choosing NeoGrass gives you complete peace of mind that your artificial lawn is free from lead and other hidden harmful toxins that could affect the health of your family and pets. All of our products have passed rigorous independent fire-retardant tests to ensure their safety and resistance against fire. Aberdeen has been classed as Cfl-s1 in fire-retardant tests for fire resistant flooring according to UNE EN 13501-12007. We've got you covered! 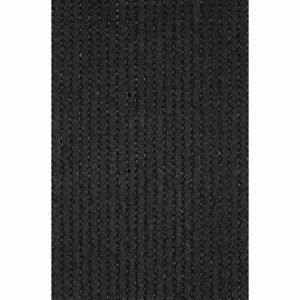 Installing your artificial lawn couldn't be easier with our range of installation accessories. Is artificial grass suitable for dogs and pets? Yes, it is perfect for pet owners. With artificial grass you can say goodbye to that patchy, tired looking lawn. Muddy paw prints in the house and on the furniture will be a thing of the past too. Dogs can’t dig through our strong and resilient fake grass and its fine for them to ‘use it’ as their toilet in the same way they would real grass as it will not stain or ruin your artificial turf. We would recommend that you use a hose to rinse through any urine to prevent any bad odours from lingering. However, with the British weather, this is normally only required during the summer months. Solids can be cleared up in the same way you currently do. For further information please see ‘Artificial Grass for Dogs – Everything You Need to Know’. How do you install artificial grass? For installation advice for garden and lawn applications, please see our standard installation procedures here. If installing on an existing surface please see ‘How to Install Artificial Grass on Concrete – A Step-by-Step Guide’. For further delivery information, please click here. We want a professional to install our artificial lawn. Who do you recommend that we use? We operate a nationwide network of NeoGrass Approved Installers. These independent, professional artificial grass fitters are trained, monitored and vetted by us to ensure they continue to offer the highest installation standards and outstanding customer service. For your free artificial lawn installation quote, please contact your nearest NeoGrass Approved Installer.